Alight’s State of HR Transformation Study 2018-19 explores the quest for Low Effort, High Impact HR—an agile approach to transformation that is geared towards reducing the transactional burden on the HR function and creating value through a focus on outcomes that matter to both businesses and talent. Omnipresent technology and ever-frequent business model disruptions are shaping a new world of work, workforce and workplace. Talent aspirations too are evolving with shifting psychographics of purpose, consumer-grade experience, and careers without walls. Organizational transformations to adapt to digital and new business models create the need for change and cultural shifts. The success of any transformation is pivoted on the goals and outcomes it is supposed to deliver. Increasingly, HR is at the center of driving this change, creating demand for HR transformation to support organizational agility. This approach challenges the way we work and deliver HR services today and demands greater collaboration within and outside the HR function. Technology, both from the enterprise and individual experiences perspective will play a mission-critical role in enabling this. The second edition of Alight’s State of HR Transformation Study explores the quest for “Low Effort, High Impact HR” with insights and data gathered across 678 organizations in Asia Pacific. Low Effort, High Impact HR is an end state where the HR function minimizes the bandwidth taken up by transactional processes and administration. It is a state where HR delivers improved employee experience and better customer satisfaction which allows the HR function to focus on true business partnerships, facilitate changes, and drive better RoI on program investments. Outcome Driven: Future-ready organizations are breaking away from traditional KPI driven views and focusing on outcomes that matter to the business. Frictionless HR Services: The HR Service Delivery Model is customer and outcome-centric that enables collaboration across HR roles. The focus is on effective program administration, improved experience and actionable insights. Data-Backed Governance: HR Governance is geared to evaluate and act based on data and insights, helping deliver desired outcomes and navigating change. Consumer Grade Experience: A digital mindset uses technology platforms to deliver consumer grade experience across employee segments. To delve deeper into what drives belief on the future readiness of the HR function, the study asked respondents to rate their confidence across 16 statements aligned to the four anchors described earlier. It was found that having a well-defined Service Delivery Model has an enormous impact. Also, having clearly thought out HR technology strategy to accompany the Service Delivery model in the digital age makes future readiness more attainable. Mature organizational archetypes are almost five times more confident of their future readiness than the ad hoc archetypes. Moreover, Mature archetypes are able to run a doubly more productive HR function and are able to think through (and possibly address) risks proactively. Although all organizations are focused on addressing talent risks such as leadership pipeline, rising talent costs, and talent engagement, Mature archetypes additionally focus on future risks such as helping businesses align with the pace of innovation, facilitating change caused by business model disruptions, and driving a capability-led view of the organization to meet future skills demand. Mature organizations are able to do that because they free up HR bandwidth away from administrative and transactional tasks and use it for business partnering and strategic HR; have the right collaboration across HR roles to ensure the right program design and execution; and deploy technology to drive transactional efficiencies, program effectiveness, improved experience and to get right business insights. Across APAC, leaders, and managers consistently rank the theme of capability development as the top talent risk. Large organizations place greater emphasis on future-proofing capability while mid-sized organizations are more focused on driving employee productivity. Verticals such as banking, software, insurance etc. are experiencing the risks related to business model shifts and those of automotive, energy and natural resources continue experiencing challenges around rising people costs and attracting talent. Looking at the risks that mature organizations are planning to address, it is clear that HR functions of tomorrow will have to help businesses attain future readiness, and adapt to business model disruption. Talent priorities will only succeed if organizations collaborate on aggregating focus areas to meaningful business outcomes. Otherwise, HR leaders will be spreading themselves thin on too many areas with siloed focus. This will eventually lead to sub-optimal outcomes. The burden of employee transactions and program administration on HR has to reduce. Technology needs to be leveraged far better to deliver employee service as over-reliance on platforms as a silver bullet for program administration will lead to lower satisfaction. HR functions will need to design programs with an adoption mindset. It is only then that meaningful people experiences and actionable insights for businesses will emerge. The HR function remains central to HR Transformation and its organization and the roles and capabilities of its incumbents will either enable or hold back the journey. In the study’s evaluation of HR organization structures, nearly 66 percent of the respondents stated that HR has direct control of resources either through direct reporting or through a matrix structure where there is a solid line reporting to regional or global HR. Higher staffing proportion for HR business partners (HRBP) and for Centers of Excellence (CoE) roles even at large organizations indicates low maturity of HR operations/Shared Services. This in turn results in lower levels of perceived effectiveness of both HRBP and CoE roles. HR capability gaps are holding back effectiveness of HR and need to be addressed on priority. Large organizations face this challenge more acutely because they are more advanced in their HR transformation journey. Respondents (with nearly half of them being CHROs) perceive large capability gaps across all roles in the HR function which correlates to higher maturity of the HR transformation journey and hence increased expectations from HR. Business Acumen: Understanding and acting on the shifts facing businesses has been a constant challenge for HR. Ensuring collaboration across HR business partners (HRBP) and generalists helps capture the voice of the leaders, managers and employees in a manner that is actionable. Facilitating Change: Organizational change needs the voice of the business (from HRBPs), the pulse of the employees (from the HR generalists), and the right set of actions driven and managed (by the CoEs). Analytics: As the CoE mandate shifts from program design to that of adoption and continuous improvement, there is a strong need for insights across the process of the program lifecycle. Shared Services/HR operations are best positioned to furnish process insights within and across functional areas. Leveraging Technology: Digital era HR calls for better selection, design, implementation and adoption of the platforms. CoEs and the shared services will lead this and will need to partner with HRBPs to get this right. HR capability gaps are holding back the effectiveness of the function. Large organizations (>10,000 employees) are experiencing this challenge stronger because they are more advanced on their HR transformation journeys. With business partners being looked at as advisors and consultants to business leaders, data suggests that they will need to address gaps around the means (partnering, change, business acumen etc.) before they can deliver on the ends (driving results). Even the emergence of change management, analytics orientation and creative problem solving are pointers to Centers of Excellence are increasingly being looked at for both designing programs, their adjustment to business/geographic needs and measuring their efficacy. Going forward, field HR/generalists will play a vital role specific to the organization’s context and will be seen as custodians of culture, employee relations, and experience. HR services/transaction roles will gain more importance as technology and people analytics become central to HR’s success which will need a shift away from process/ transaction-only orientation of the past. There is also a need to think clearly through the many HR roles and their distinct accountabilities and enable a higher degree of collaboration through defined governance. HR Service Delivery model or the HR Business Model clarifies and suggests the expectations from HR and how HR will be organized to deliver results. Understanding the current state of the prevalence of HR Service Delivery, guiding principles on which it gets defined and how administrative task patterns are changing, will give insights into actions on the ground. The HR Service Delivery Model should be thought of as guiding the design and management of HR’s role in people, processes, and technology. The study reveals that two-thirds of the respondents have a well-defined HR Service Delivery Models, either complete or partial. The prevalence of it, surprisingly, does not change dramatically for organizations that have shared services which is an indication that APAC organizations have only looked at the cost and consolidation benefits of shared services. India and Thailand are two countries where close to 80 percent of the respondents have established HR Service Delivery Models. China lags behind on this front with only 60 percent respondents adopting it. For organizations having more than 10,000 employees, HR Service Delivery prevalence is higher at 87 percent. HR Service Delivery adoption also logically correlates with organizations that have a defined HR technology strategy. Typically, HR technology strategy runs in sync with downstream activity of the HR Service Delivery Model. Shared Services are coming of age in APAC, moving beyond the traditional benefits of ease in administration and cost savings through consolidation of transactional work. Alongside the rise of user experience and analytics, shared services’ role in talent management (performance, learning, compensation) and analytics will continue to grow as they not only have to collaborate more with CoEs, but are also critical in helping drive better program adoption and process improvements keeping outcomes in mind. However, it will need to increase their footprint as both on process scope and coverage, there remains a big opportunity to drive consolidation of administrative tasks. Going forward, user experience (enabled by end-to-end process coverage), analytics and automation will define the success of HR Service Delivery Models as the theme of customer centricity continues to grow. Matured Shared Services will take on many statutory/compliance-driven tasks currently considered for local delivery. This will be done on the back of increased automation and centralized management of multiple outsourced partners. Skill gaps across HR transaction roles and the increased role of technology in HR Shared Services indicate convergence of HR Technology and HR Operations. HR Technology is integral to HR's success. Getting this right is not a choice but an imperative in today’s digital age. Increasingly, CHROs actively drive these decisions in collaboration with CIOs. Understanding current challenges, most desired benefits, satisfaction levels, drivers of satisfaction and future purchase criteria will help evaluate the current environment and work towards change. Organizations in APAC are struggling to get value out of the HR platforms they have invested in which can be seen in the overall satisfaction in HR Technology that has dipped six percentage points as compared to the 2016-17 study, and stands at 45 percent. Nearly 60 percent of respondents plan on making new investments in the coming 12 to 24 months, making technology integral to HR functions. Consistent with the 2016-17 study, it can be seen that satisfaction on cloud platforms is higher than that of ‘on-premise’ platforms. Notably, there has been an increase in the satisfaction gaps between the in-house payroll model and the outsourced payroll model. The need for consistent delivery, reporting and compliance is powering the shift towards an outsourced model. This trend will continue to grow in the region given a wide variation of statutory requirements and logistical challenges. Consolidation of HR platforms is on the rise in the APAC region. Besides platform maturity, the benefits of consolidation for organizations include optimized cost of ownership, better user experience and seamless data integration. The increased prevalence of organizations that are yet to figure out their HR Technology strategy is indicative of organizations where HR does not lead the thinking on technology decisions. This combined with having to contend with many new entrants in the HR Technology space adds to the confusion on decisions. There is also a clear polarization of evaluation parameters on which organizations choose technology platforms. Factors such as analytics engine, suite comprehensiveness and user experience now account for nearly 50 percent weightage in evaluation processes. Companies are now looking at the total cost of ownership (TCO) of IT platforms, based on the value they deliver, as opposed to merely looking at licensing and deployment fees which indicates improved maturity and supports the shift to cloud. These are consistent with the upward trend of technology consolidation as a dominant strategy. Technology has come a long way from being a “System of Records” “System of Administration” “System of Engagement”. The next leap will be on the anchors of technology guiding “collaboration, decisions and insights”. Going forward, “omni-channel service” will be the biggest differentiator for satisfaction as they are easier to maintain and manage on the cloud compared to on-premise platforms because of the lower cost of upgrades, maintenance and integration for seamless user experience. Built-for-cloud platforms with ability to support both scale and pace of innovation will win. It is expected that some of the existing legacy platforms will compete in this market with new made-for-cloud platforms in the future. In addition, both user experience and analytics will do better on cloud platforms with single source data models as context across modules and platforms will improve user experience at each touch point; Analytics will come to life with clean data, better organizational context and accelerated pace of innovation (e.g. machine learning) which will be natural to platforms; and investments in capability of the HR function both for technology and for data science will be a high priority. Evaluation: Consider outcomes and not requirements; do away with RFPs and focus on live configurations to test for experience and ease of adoption. Business cases that consider outcomes combined with TCO are more likely to succeed. Execution: Technology today is more about HR and less about IT, however to actualize this, organizations will need to execute with their best resources across strategists and business partners. Transformation becomes meaningful for people in any organization by employing analytics to monitor progress, demonstrate ROI and influence decision-making. By connecting programs, talent outcomes and analytics, governance, in turn, becomes rationale-based rather than anecdotal. This is pivotal to both the success of Transformation and ongoing evolution of the HR Function itself. 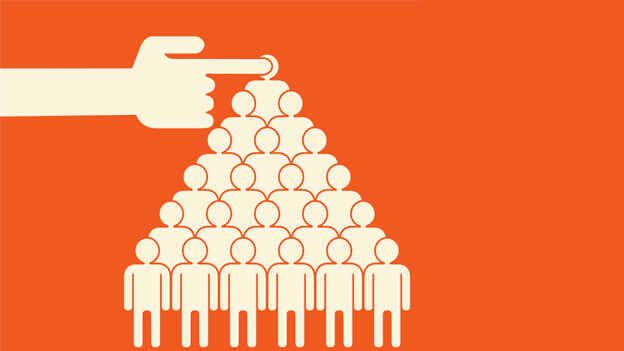 People analytics is truly the GPS for the execution on the human capital strategy and should connect business performance to people performance. To do this, organizations must leverage data to optimize business outcomes and solve business problems. The feedback of analytics into the governance of programs is what enables corrective actions and change management to make HR truly agile. Across APAC, performance, productivity, development, retention and engagement are some of the top areas where organizations want to make an impact through people analytics. Reflecting on the trends highlighted by the study, the linking of analytics and governance remains a key gap in enabling the success of transformation. Despite efforts and planned investments, the challenges of capability and the lack of consolidated data continue to remain big roadblocks. Effectively managing the complexities of an HR organization requires a concerted focus on governance. While most of the respondents have established HR councils or equivalents, reporting ROI and tracking improvements remains a challenge. Governance for agility must go beyond the basics of HR councils and HR leadership meetings and to impact business outcomes, governance needs to focus on critical decisions regarding fiscal discipline, risk management, and policy creation. Some organizations have created effective governance structures to manage large complex change initiatives such as organizational restructuring. However, it is equally important to have a structured process to manage decisions and guide the allocation of resources on an ongoing basis. 50 percent of learning is video based: The quest to ingrain a culture of learning is pushing organizations to create a pull rather than a push on learning. Bite-sized content, on-demand availability and role-based predictive learning is making strong inroads across the learning spectrum. Real-time employee feedback captured 80 percent of the time: The days of annual engagement/employee opinion surveys are over. As organizations get serious about design thinking and user experience in HR, they strongly need to capture ‘moments that matter’ and then make improvements in an agile manner. 100 percent HR processes on mobiles: In many ways, Asia has been a mobile-first market. Processes on mobile are behind faster transactions, rapid adoption, ease and personalized experiences for employees. Mobile forms the backbone of learning, ongoing feedback and wellness. Analytics driving people decisions: This is an area that will probably be the most important for HR, and possibly its most difficult habit to break. Data-backed governance has the least confidence of CHROs. Yet, the willingness to act and improve based on data will critically impact the future of the HR function. The organizations that acquire an agile mindset, capability and right infrastructure will be able to pull ahead of the competition in the face of sweeping changes in the HR Technology space. These organizations will make HR’s impact felt through right organizational and talent outcomes and by leveraging human capital to its full potential. Alter the HR Operating Model of the future: For example, be alert to questions such as what the role of HR Operations will look like in the future if self-service becomes widespread. Or as learning moves to being video-based, how can corporate universities transform themselves into meaningful content curators? Underscore the relevance of Business Acumen and Managing Change: As administration and reporting work gets automated or becomes available on fingertips, HR will be forced to develop skills that help organizations navigate the future of the work and the workplace. Business acumen and Change Management are likely to be most critical skills in need. HR in a digital world: The misnomer of Digital HR will soon die. HR leaders already find themselves at the center of the digital storm. Over the next two to three years, HR will emerge as a powerful proponent of technology not only for HR but for the organization as a whole. This will become necessary as trends like a connected workplace, the gig economy and networked organization structures go mainstream. The key expectation from HR transformation is to get the desired organizational and talent outcomes. Many organizations, especially those that saw efficiency and cost as the primary driver, undertook the transformation journey from an internal HR perspective. The value that HR brings to the table is not in making HR better (less than one to two percent of the P&L). It is about enabling success and delivering experience to the entire organization (constituting 98 to 99% of the P&L). This primary feature and an outside-in view of HR transformation will need HR leaders to ask: Why are expectations from HR changing (i.e. changes in the environment and how they impact businesses)? What are the expected outcomes that HR needs to enable? How do they execute this journey? Alignment: Successful HR transformation demands alignment between business expectations, HR strategy and program design. In addition, alignment of programs with the HR Service Delivery Model and technology demonstrates higher satisfaction. Capability: In a large number of cases, HR transformation is hampered by capability gaps. This will take time to resolve. Understanding the HR organization (in the context of HR Service Delivery), roles, incumbents, capability gaps and development investments at the earliest is imperative. Platforms: Consumer grade experiences are anchored on platforms that the organization selects. Early decisions on platforms will avoid downstream rework. Organizations will need to have a clearly articulated HR technology strategy and select platform partners who deliver satisfactory user experience, configurability, analytics and pace of innovation. Change: HR transformation as a journey beyond adoption of platforms demands a mindset change on the part of HR leaders fairly early in the process. HR will have to think of the mechanics of execution to prepare the organization, and plan for capacity to enable this change. Integration: During the course of execution, even well-defined HR transformation gets fragmented into projects. These projects run as silos impacting both user experience and the pace of change. Senior most HR leaders will have to own and take charge of integration. Collaboration: Connected to integration is the need to create opportunities for collaboration across project teams. Organizations with successful transformation journeys institute practices for recognition and communication to support this. Technology enabled operations: In today’s context, it is important to think of process and technology as working in tandem to produce a set of outcomes. Hence design and implementation of platforms needs involvement of senior HR practitioners together with IT resources. Technology needs go beyond HR platforms and should cover services and knowledge management to enable omni-channel services. Realizations of the stated benefits from HR transformation are usually derailed because of HR operating model or change management issues. For organizations to fully succeed with their HR transformation, they will need to be prepared for and focused on the longest stage of the transformation i.e. realization. Organizations will need to proactively plan for and enable this result by focusing on calibration, business and domain needs, adoption and a data driven culture. Calibration: Ensure that program owners are held accountable for demonstrating both outcomes as defined in the planning stage and/or enabling improvements towards stated goals. Business and Domain: HR transformation becomes real for business leaders when they get strategic advice from their HRBPs. A similar shift of perspective is called for on the part of other HR roles. A specialized HR design demands business and domain knowledge from various HR incumbents. This needs to be a continuous process for realization and impact in terms of outcomes. Adoption: Most organizations are happy to report delivery, SLA and metrics. However, they miss the opportunity of connecting with users and increasing user adoption. Improved adoption can be seen as a story of increasing channels of access and addition of layers of context as relevant to consumers. Data-driven: Successful HR transformation will consolidate and create data infrastructure. Organizations will need data and analytics capabilities across the HR organization for improvement of programs, HR Service Delivery Model and governance for ongoing improvements. Ongoing disruptions will result in a constant change in demand from businesses and stakeholders. Organizations who get their HR transformation right and establish the right capabilities for ongoing realization of outcomes will be able to adopt existing and new tools as demanded by the business. In terms of low effort, the challenge for organizations will be to constantly reduce the administrative and transactional burden by driving a near-zero operations focus. To create high impact, the focus will need to move towards outcomes, employee experience and analytics that guide the HR strategy. Put together, this Low Effort, High Impact journey will help build agile HR organizations that are equipped to help business navigate changes faster and better.